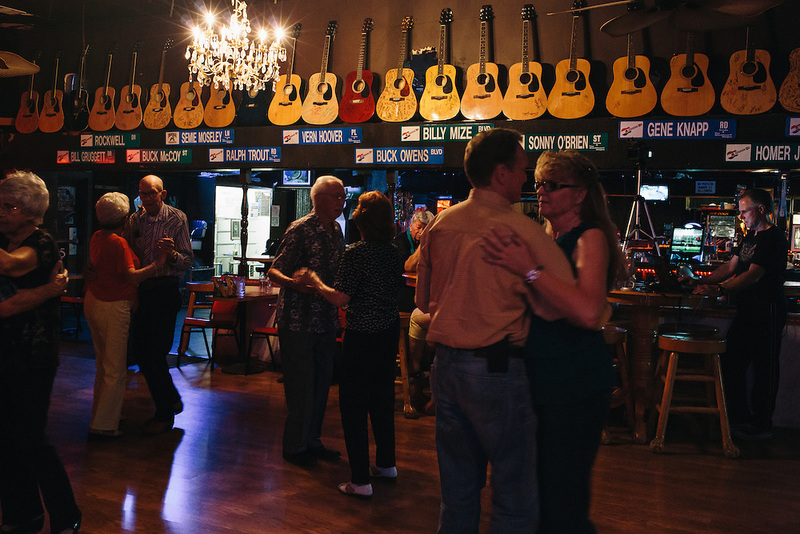 Patrons dance to the live music of Red Simpson, a founder of the Bakersfield Sound, on a Monday night at Trout's. Trout's is a honky tonk bar in Oildale, a community north of Bakersfield, California. The bar is known for performing acts like Bakersfield natives Merle Haggard and Buck Owens.